Australian Indie-Electro champs Cut Copy’s awesome Free Your Mind album is getting itself a shiny new deluxe version release this week. The record, originally released late last year, will come equipped with a host of brand new track, including this one, Believers. There five additional tracks in total, and if there anything like Believers, you’ll be hankering to pick up Free Your Mind all over again. A luxurious slick of Acid Pop, Believers is equal parts noisy and melodic. Kicking off with some 909 rims and 303 burbling, Believers soon unashamedly revels in it’s 90s-ness with vocal snatches and a piano hook. All this complemented by Cut Copy’s inherent Indie-Electro feel courtesy of Tim’s heartfelt vocal performance. The track doesn’t;t hold out as it gets rapidly noisier and more fanatic towards it’s finale, building the energy for one last freak out. 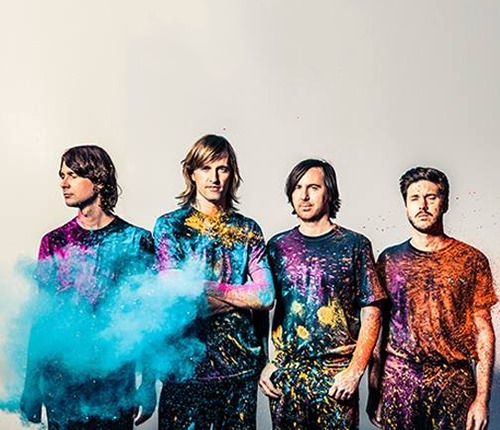 Cut Copy release the deluxe version of Free Your Mind this week.